This Osprey 6 Piece Skate Pad Set is designed to protect knees, elbows and wrists during wheeled sporting activities, such as skating, skateboarding etc. For every skateboard or BMX-worshipping kid, there's a parent sweating and fretting and cowering in horror! It's great that their kid has an interest, but it would be reassuring to know that their knees won't graze if they mess-up an ollie; that their wrists won't scathe if they stack it on a grind; that they're not going to run indoors, screaming like a banshee and bawling their eyes out, thanks to an open elbow wound dripping on the carpet. This Osprey Kids Skate Pad Set will go some way to preventing such problems. 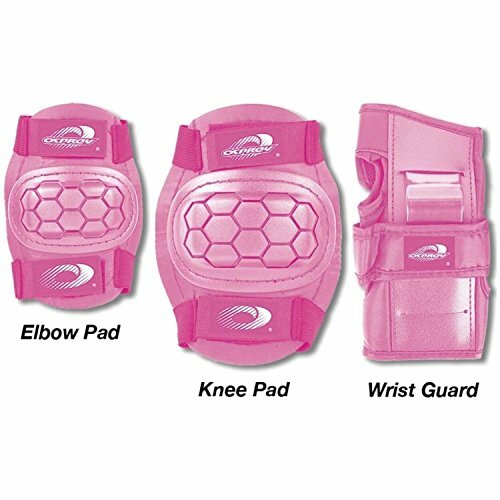 The set contains two hardwearing knee pads, two strong elbow pads and two tough wrist guards. 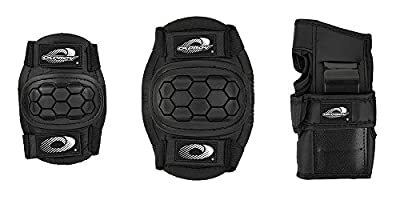 The resilient pads are secured to a durable material that effortlessly fits over the elbows, knees or wrists to protect them from bruises and scratches incurred during skateboard or cycling adventures. 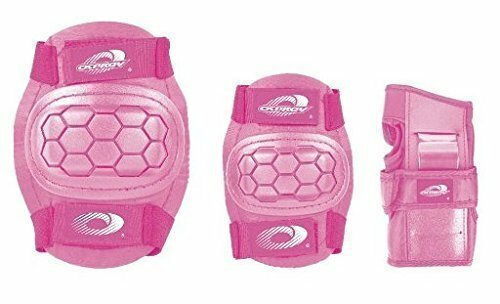 Available in either black or pink, the pads are decorated with a funky Osprey logo and are attached to Velcro adjustable straps to fasten them to the allocated area. 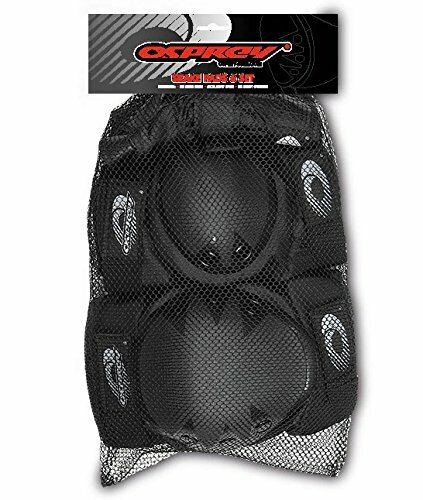 Whether kick flipping or pole grinding, BMXing or skateboarding, this Osprey Six Piece Kids Skate Pad set will protect a kid's elbows, knees and wrists from the cuts and bruises inflicted by any mishaps.